In the infancy of Cuba’s tourism, Wanda St.Hilaire takes a trip to the tiny island. In spite of her love of all things Latin, she puts herself on a travel ban to Castro’s Cuba, one that lasts twenty years. When she is forced to cancel a trip to Oaxaca, Mexico at the last minute, she finds herself in Cuba twice, on back-to-back trips. 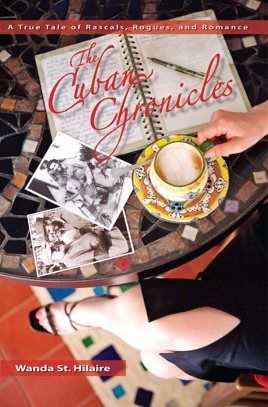 Walking into the backstreets of Havana, eyes wide open, she finds herself pulled into a dalliance with a charismatic cubano. Underneath the façade of Cuba’s tourism lies the desperation of a society living mostly in abject poverty. When tourists mingle with locals, we get a glimpse of what underlies the frivolity of Cuban entanglements. St.Hilaire speaks with an authentic voice and doesn’t mince words; she recounts her own activities, emotions and opinions with refreshing honesty. With each solo adventure, the author reaches a deeper understanding of human nature and the world. At the same time, she conducts a journey of self-discovery, learning about her own entrenched beliefs, biases and blemishes. Author's Note: I’ve received interesting and unexpected feedback from many of my readers. The book was written with full disclosure and raw honesty and in the final chapter, I have a real-life, AH HA epiphany. Apparently the journey and the revelation have positively impacted a number of readers to push past a fear to go for something they’ve longed to do. Lisa wrote and told me how my story incited her to sell her city home and move to the country, something she’d dreamed of doing for years but was afraid to do alone. At an event I attended in another province, Pierre was excited to tell me how the tale had motivated him to sing French songs (and play guitar) in public at a local club, something he’d deeply desired doing but was nervous to try. He was thrilled with the effusive applause and positive feedback from his audience. Marilyn contacted me directly after she’d finished the book. She said she was happy to report that the book had prompted her to finally and completely end a relationship that had been far less than she deserved. Alexandra met me, quite by serendipity, in Mexico. She was on her third read of the book and loved it. In it, she discovered a woman who operated from a much different perspective than she has–one of openness and utter frankness. It’s caused her to look at her secretiveness and strong privacy boundaries, which have inhibited her relationships. I’ve been excited to discover how the book has, as my slogan reads, incited people to move into a more impassioned life. I hope it will inspire you too. 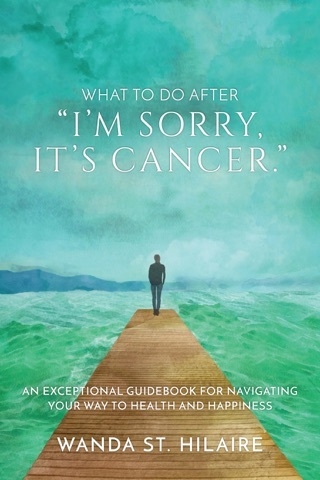 What to Do After "I'm Sorry, It's Cancer."